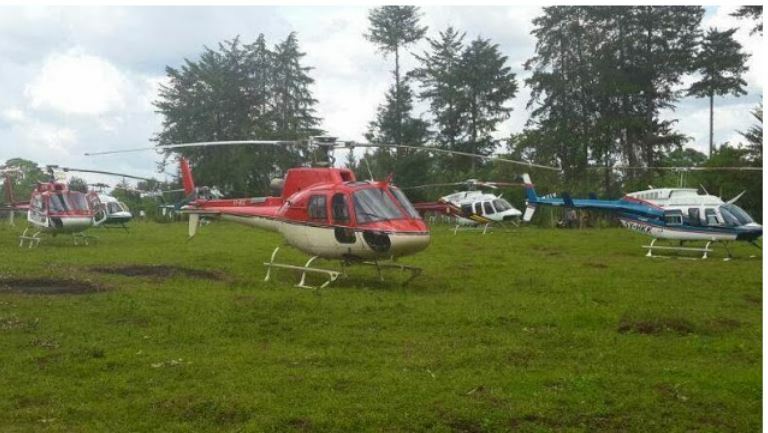 As Deputy President Wiliam Ruto’s source of wealth continues to be an enigma, there is also the issue of how many helicopters he owns. According to former Jubilee Party vice-chairman David Murathe, the self-declared hustler is a billionaire who currently owns seven choppers. To back his claims, the former Gatanga MP said that Ruto is building a multi-billion mansion at his rural home in Uasin Gishu County. Murathe questioned the source of the DP’s wealth, noting that even former Kakamega Senator Boni Khalwale raised same concerns about Ruto’s choppers. 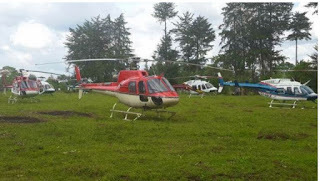 “Khalwale is on record saying he wants William Ruto to explain how he has acquired 4 or 5 helicopters, he now has 7. How he’s building a house worth Sh1.2 billion in Sugoi, where is the source of his money?” he posed while appearing on the ‘Point Blank’ show. Murathe went ahead to sensationally claim that most of Ruto’s wealth was acquired through proceeds of corruption, including the prestigious Weston Hotel in Nairobi. “The hotel which he owns sits on a piece of land which has been stolen,” Murathe added. According to Murathe, Ruto does not meet the integrity threshold to continue holding a public office. In the exclusive interview hosted by Tony Gachoka, the former Jubilee official said the looming arrests and prosecution of top Government officials for corruption will trigger a major Cabinet reshuffle. He said President Kenyatta has given the investigative agencies the go-ahead to probe and charge any State officers involved in graft “no matter how high their positions in the Jubilee administration”.